Monthly newsletter for Spanish Students at ILISA. 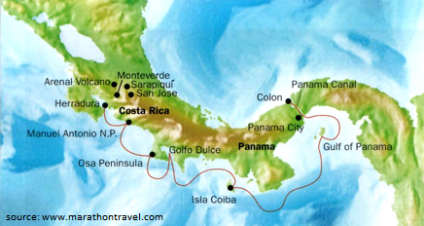 Issue: August 2013, jump up - learning spanish in Costa Rica and Panama in 4 weeks. Jump 1 level up - Costa Rica and Panama in 4 weeks ! "Jump 1 level up - Costa Rica and Panama in 4 weeks" is a new offer for everybody who wants to learn spanish in more than just one country. It offers the possibility to get to know 2 countries and 2 cultures. You will not just jump 1 level up with your spanish - no, in this trip you will jump directly into a big adventure. We are looking forward to held you with all your questions, so that your stay in middle america will be perfect. Aproximadamente 20 años de trabajar como professor en ILISA. Me gusta mucho trabajar cotidianamente con personas de diferentes países, culturas diferentes, con otra visión del mundo. Disfruto mucho no solo enseñar español y aspectos culturales de Costa Rica y del mundo hispanohablante, sino también aprender de los estudiantes. Me encanta leer, especialmente literatura hispanoamericana, pero también historia, antropología de temas de actualidad. Aparte de eso, disfruto mucho comer, probar comidas diferentes, compartir la buena mesa con familia y amigos. También disfruto mucho la naturaleza y, cuando puedo, me gusta caminar en el campo. I had a more than a fantastic time while I was in Costa Rica. I came by myself to study spanish at Ilisa for 9 weeks. This was a perfect amount of time to fully be emerged in the culture of Costa Rica and in the spanish language. I enjoyed every single part of this experience! Even though I arrived by myself, I felt so comfortable and excited to meet people! At Ilisa, all of my professors were great! They each made spanish fun and easy to learn in their own way. The staff at Ilisa were so helpful and I am so glad that I had an opportunity to get to know them as friends as well! Ilisa set up my host family perfectly, they helped me plan each trip, every weekend, with a smile on their face! I had the best time! Definitely want to recommend this to everyone! This is going to be something that I will look back on and say "Yeah, that was a good choice!" And then I'll think "I want to go back now!" Thank you, Ilisa! PURA VIDA!!!! Jump a level up ! The graduation of the Weber State University 2013. We had a great time with these amazing people. No matter if we went to the nacional museum or to Rincon de la vieja - it was always a adventure with all of them! Thank you for the great time ! 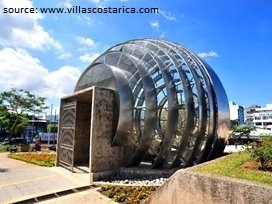 The national museum of Costa Rica in San José offers many interessting things for young and old. You will learn about the Costa Rican history and will have the opportunity to step into the world of butterflies. Here, in the National Museum, can be found something for everyone. The butterflygarden of the nacional museum of Costa Rica. Copyright © 2013 ILISA, All rights reserved.